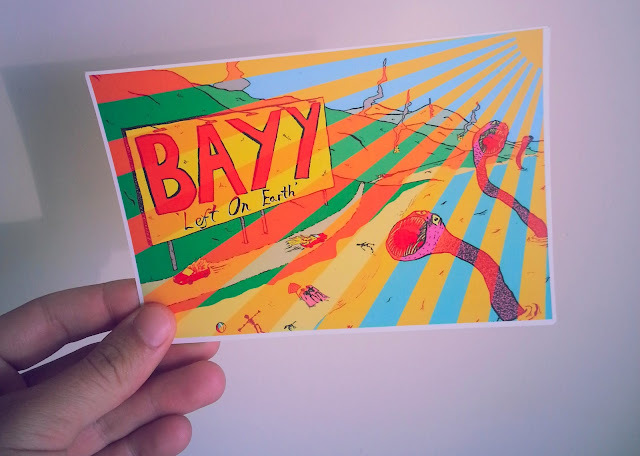 Following Year of Birds on last month's Art Is Hard Postcard Club is Brighton four-piece BAYY with "Left on Earth". As with Bayy's previous two tracks to feature, "Left on Earth" is as deliberately lackluster as they come and as we've grown to expect now, it works like a charm. "Left on Earth" gives the same results as one of those drinking sessions that ends with you feeling clumsily euphoric and altogether out of control. It's rare, but it happens and it's good. You can grab a copy of "Left on Earth" with accompanying postcard from Art is Hard Records, as with every month.